Projected onto the large screen or a series of plasma screens will be art created by an artist using a light painting iPad app. This work is created and animated in real time. It is a subtle but intriguing live art piece that is both in the background but highly engaging when the guest realises that it's being created while they network. Position the artist in a spot where they could be seen and approached if the guests chooses to interact. 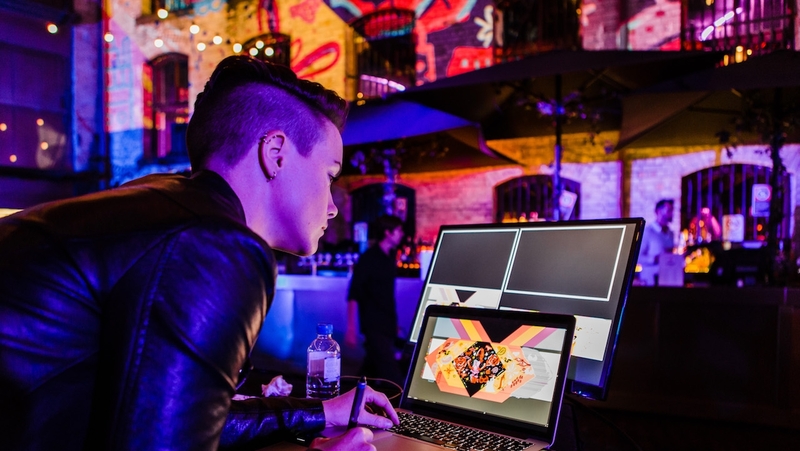 We could work with you and the client to develop a brief that fits with the brand or let the artist work within the scope of the event to create a series of graphics and animations.